Who We Are Richardson Plowden & Robinson, P.A. is a business-defense law firm in South Carolina. We represent corporations, businesses, and individuals, providing them with a complete portfolio of legal services. We help establish, advance, and protect corporate, professional, and personal interests in areas including Alternative Dispute Resolution; Bankruptcy/Collections Law; Business/Real Estate/Tax Law; Construction Law; Governmental Relations; Healthcare Law; General Litigation; and Medical Malpractice Defense. Our History In 1973, Donald V. Richardson III and Charles N. Plowden, Jr., founded Richardson Plowden law firm. More than 40 years later, Richardson Plowden has grown from one office in Columbia, S.C., to include a second office in Myrtle Beach, S.C. and a third office in Charleston, S.C. As one of the 20 largest firms in South Carolina, we have more than 35 attorneys and more than 80 support staff. Our Services Richardson Plowden focuses on delivering legal services that establish, advance, and protect corporate, professional, and personal interests. We have a broad-based service offering, encompassing more than 25 practice areas. The depth and range of our experience is a true benefit to our clients, particularly those whose cases are complex. With our multi-disciplinary approach that spans a variety of practice areas, clients can benefit from the simplicity of having one firm for all their legal needs. Learn more about our services by exploring our Practice Areas. Our practice groups work as integrated, multidisciplinary teams. Along with broad and specialized legal experience, our attorneys have extensive backgrounds in related areas such as accounting, architecture, construction, engineering, taxation, healthcare, law enforcement, and insurance claims adjusting. We also have 12 experienced, certified mediators and arbitrators. Our People At Richardson Plowden, our people are what set us apart. Our attorneys have been recognized as Best Lawyers in America, South Carolina Super Lawyers, professional leaders, and leaders within our community. We are a diverse group that offers a range of perspective, but shared core values of integrity and honesty. We work hard, and work smart in a perceptive, practical and results-oriented manner. To learn more about our attorneys, click here. Our success primarily stems from our loyal client base, many of whom we have proudly represented for decades. The same continuity exists among our attorneys and staff. These attributes are testaments to the Firm's quality service, loyalty and commitment. Richardson Plowden litigates a full range of employment actions in trial, appellate, and administrative courts. 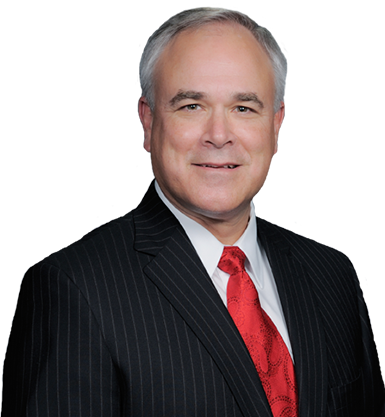 David A. Anderson is a shareholder of Richardson Plowden in the Columbia office. He maintains a civil litigation practice with an emphasis on defending construction, premises liability, real estate professionals, and other insurance related matters. -Defending numerous civil actions in both state and federal courts. -Participated in over 400 successfully mediated claims, which include construction, premises liability, bad faith, and general insurance defense matters. After graduating from The Citadel, Mr. Anderson served in the United States Army in various command and staff positions until 1992, when he left active duty to pursue a career in law while continuing his military service with the South Carolina National Guard. Throughout his military career, Mr. Anderson received many awards and decorations, including The Bronze Star for action in Desert Shield/Desert Storm and the Legion of Merit for service in the National Guard. He retired with the rank of Colonel in 2006. In 1996, he graduated from the University of South Carolina School of Law and clerked for the United States Federal District Judge G. Ross Anderson, Jr. In 1997, Mr. Anderson joined Richardson Plowden and became a shareholder in 2003. In 2004, he received a master's degree in strategic studies from the U.S. Army War College. Mr. Anderson is a member of the American Bar Association, as well as the South Carolina Defense Trial Attorneys' Association, the Defense Research Institute, the Professional Liability Defense Federation, the Federation of Defense and Corporate Counsel, and the Claims and Litigation Management Alliance.